The A4 has been a stalwart seller for Audi for well over two decades now, moving into its ninth generation with the redesign for 2017. In fact, the A4 and two crossover SUVs, the Q5 and the Q7, are largely responsible for keeping the company from a decrease in year-to-date sale through September comparing 2018 figures to those for 2017. Audi reported that 28,783 A4s were sold over the first nine months of 2018, an increase of 4 percent over the same period in 2017. It announced an 11 percent jump for September alone with 3,185 sold this year compared to 2,879 in September 2017. Obviously, those aren’t huge numbers when compared to top sellers in the passenger car segment overall, but they stack up well with their Teutonic brethren. Mercedes-Benz reported a fall of nearly 25 percent for C-Class sales month-over-month for September (4,682 for 2018, 6,194 for 2017) and the BMW 3-Series, long considered the bell cow in the segment, was down over 40 percent for September (3,615 for 2018, 6,045 for 2017). Sales for the year-to-date were off 40.2 percent for the 3-Series and down 28.32 percent for the C-Class at the end of September. The A4 neatly slots in between the Q5 and the Q7 as Audi’s leading sellers. Which is not surprising. This is one great sedan that gets high marks for its performance, its looks inside and out, its comfortable ride, and its user-friendly technological features — especially when compared to its competitors. That’s pretty much a winning combination right there. 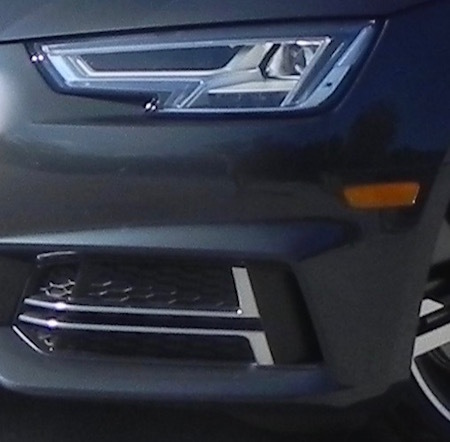 The Audi A4 is offered in Premium, Premium-Plus, and Prestige trim levels (we’re dealing with only the sedan here, not the Allroad wagon) all powered by a 2.0-liter, turbo 4-cylinder engine pumping out 252 horsepower and 273 pound-feet of torque and mated to a 7-speed, S-tronic double-clutch or 6-speed manual transmission (depending on the trim). That’s enough oomph for a spirited performance, but if you want more the all-new for 2018 S4 with its 3.0-liter turbo-V6 (354 hp, 369 lb.-ft.) zips you from zero-to-60 mph in 4.4 seconds. You can get the A4 with front-wheel drive or Audi’s all-wheel quattro system. 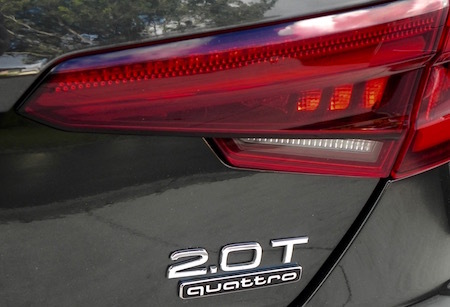 Fuel mileage figures run from 27 miles-per-gallon city, 37 highway for FWD to 24/34 for quattro models. My ride for the week was the 2.0T quattro S-tronic version that came with a base MSRP of $40,500. (Base models start at just a tad under $37,000.) 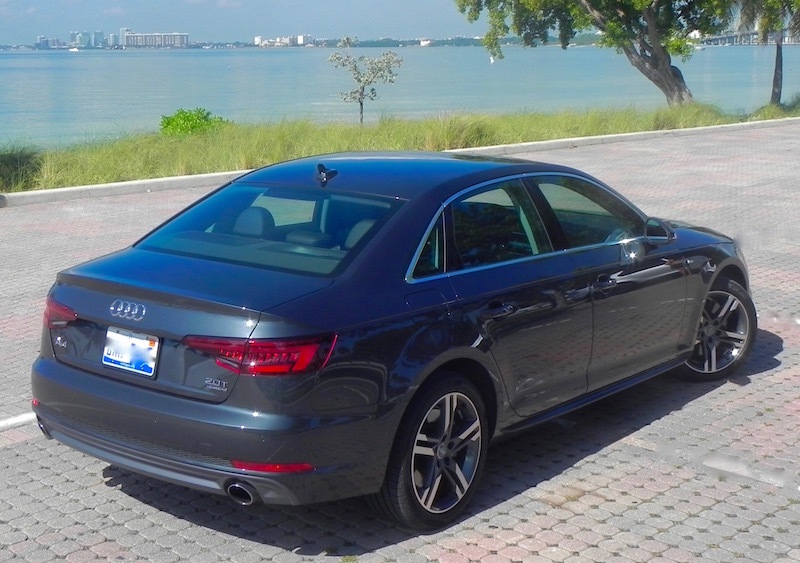 Adding extras like the Premium-Plus package and Audi’s MMI telematics system with navigation ran the total to $48,290. For 2018, Audi made a few more features standard over the previous model. Notable standard features include LED interior lighting, power sunroof, three-zone climate control, 8-way power adjustable heated front seats with 4-way adjustable lumbar support for the driver, LED daytime running lights and taillights, and Audi’s low-speed collision assist system. Naturally, the cabin is rich with high-quality materials with leather and soft touches throughout, and you can add options like ventilated front seats, heated rear seats, and a heated steering wheel as well. Visibility is good all-around, and legroom is generous with 41.3 inches up front and 35.7 in the back row despite the A4’s classification as a “small” luxury sedan. It has more the feel of a mid-size. The center screen is easy on the eyes, though designers really should find a way to incorporate it more smoothly into the flow of the dash. Sticking up like it does makes it look like an afterthought. 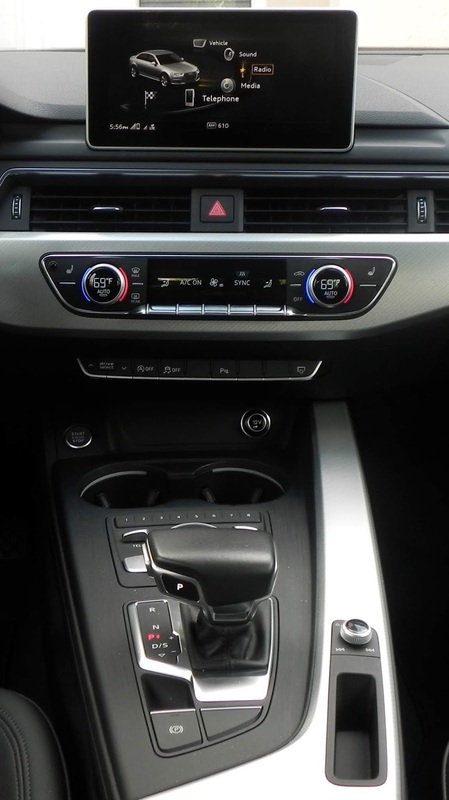 Audi’s MMI infotainment system is easy to get the hang of even for techno newbies. 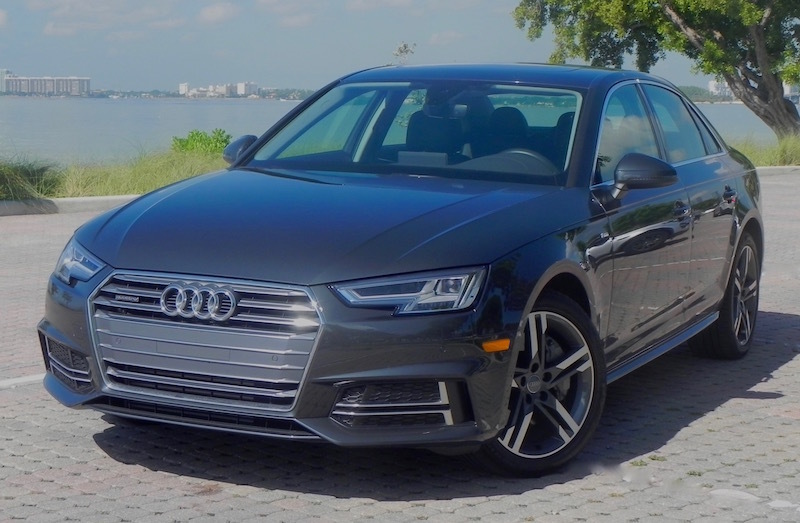 What I liked about the 2018 Audi A4: This is one of the best-looking sedans in a segment that has a bunch of them. The ride is sporty, and you can switch to the mode you prefer (comfort, auto, dynamic or individual). You can turn off the stop-start system. The “virtual cockpit” system allows the driver to personalize the instrument panel, reducing the size of the speedometer and tach to accommodate a full-size navigation map right in front of your eyes. What I didn't like about the 2018 Audi A4: The list of standard features is generous (leather seats are included), but to get the really cool stuff you'll have to spend about $6,000 over the base MSRP for such items as a Bang & Olufsen premium sound system, LED headlights, Parking System Plus, Audi side assist, and the Navigation and Telematics package. Truck size (13.0 cubic feet) is only adequate. 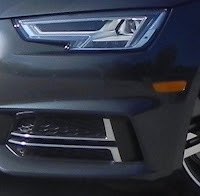 Would I buy the 2018 Audi A4? Yes. There are lots of good choices in the segment, though some can overwhelm you with all their geez-whiz techno gadgets. Not the A4. It strikes a nice balance between gee-whiz technology and user-friendly operation.